Though Donald Trump’s reign of terror includes the promise to revoke all progress made on the climate change front, certain elected officials are not willing to take his destructive refusal to accept basic scientific facts lying down. 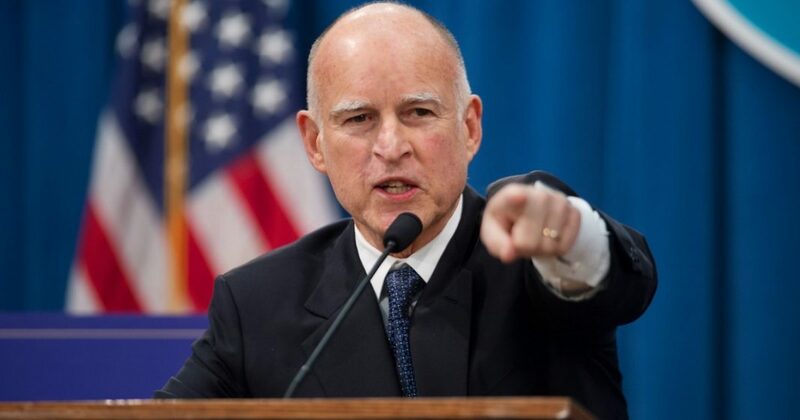 California Governor Jerry Brown responded to indications from the Trump campaign to end NASA’s climate change research with a declaration that California intents to continue carrying out climate research no matter what the POTUS orders. Speaking to a room full of scientists on Wednesday, Brown appeared defiant of the PEOTUS, and assured the assembled scientific minds that California would remain a strong ally to the cause. Brown’s comments were met with loud applause, but what he is proposing is a steep goal of Trump truly does shut down climate research at the national level. But of course, considering that our President-elect once claimed climate change was a hoax invented by “Jnya” (or “China,” for the rest of us), we can’t imagine that he will ever take a rational stance on the issue. Even as recent as earlier this month, The PEOTUS took a softer stance, but still maintained that “no one knows” what is truly causing global warming. Scientists everywhere heaved a collective sigh, staring longingly at their life’s work.